You have built a great looking website, the only problem is you are the only one who knows what a great looking site it is. Are you now wondering how to get more traffic for your website. It used to be when the internet first took hold that you could build a website and people would come. There was this common phrase heard everywhere – “Build it and they will come”. Not anymore. Times have changed. 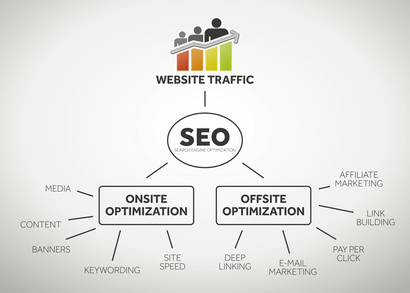 In order to have a successful online business you are going to need traffic to your website. 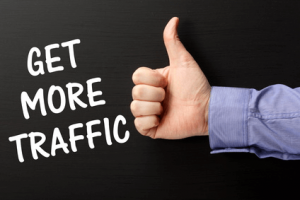 You can buy traffic but this article will focus on free traffic. SEO plays a big part in your site getting traffic. Your site needs to be optimized for the search engines. Every piece of content that you put on your site must be optimized for the search engines. You do this through proper use of keywords. Before you create your piece of content you need to research your topic and find keywords that will reflect your content. Content that is going to point to your site also needs to be optimized. More people are starting to use long-tailed keywords since they do reflect specifically what they are looking for. This is a good thing for a webmaster as long-tailed keywords generally have less competition. A webmaster at one time would use a bunch of unrelated keywords just to get traffic to their site. With all the changes being made by Google it is much harder for a webmaster to do this and trick the search engines. It is just easier nowadays to follow the rules. So once you have optimized your site you may start after some time to see a trickle of traffic. So what can we do to speed up that trickle to a decent flow? This is where off page SEO comes into play. You need to get your site out there to get noticed and to do that you need to start using tools like social media. Basically if a lot of people are going to your site that tells Google that this is a site that is offering value to its readers. Google will then deem it to rank higher in the SERP’s. The higher up in the SERP’s the more people will find it when searching. A method used a few years ago but which is not as popular or effective now is Article Marketing. This method was used as a long term technique to generate traffic. What you would do is write articles related to your website and submit them to Article Directories. At the bottom of your article there would be a couple of links pointing back to your site. When people were looking for articles they could use your content but were not allowed to modify it. Therefore the more your article was used the more people saw it and hopefully clicked on the links back to your site. Using social media is a great way to generate traffic for your website. The important thing about social media is you need to learn how to effectively use it and you need to be an active participant. It can be quite time consuming however, so you need to pick a few and concentrate on them. One of these online social networking services is called Twitter. Basically to use Twitter you need to sign up, then you can post and read “tweets”. Tweets are messages consisting of 140 characters. It is amazing what a person can say in 140 characters. Although the 140 character limit still stands as of May 2016 photos and videos do not count against the character limit. Also links and attachments are no longer a part of the limit. It is interesting to note that although Twitter has millions of users about 44 percent of them have actually never tweeted. Signing up for social media will not get you traffic as I said earlier you need to use it on a regular basis in order to benefit from it. Another way that you can generate traffic is by joining forums related to your website. Now do not go in there right away and leave a comment and then drop a link back to your website. What you need to do is establish yourself in the community. This will take some time but it can well be worth the effort. Make sure you know all the rules as some forums do not allow links. Another advantage of joining a forum related to your website is you get to know what people in your niche are looking for. You could then be writing content about that for your site. After writing the related content you could make a comment and then leave a link to the article. Another way to get some traffic is to find a blog that is about the same thing as your site and contact the owner and offer to write an article to put on his site. You could set up an article exchange between the two of you. Facebook is another social media network that you can use to generate traffic. You can make your own Facebook page about your website or you can join groups related to your niche. There are many groups in Facebook about all kinds of various things. You will find a large majority of niches have their own groups. Google also offers you a social media network with Google+. At Google+ you can make a page and every time you add content to your website you can post about it at Google+ and point it back to your website. You can share this content with all your circles or just some of your circles. Of course we cannot forget YouTube. Here you can post your videos and have them pointing back to your website. Videos can generate a lot of traffic. People love videos. If you go to YouTube and check out pet videos some of them have millions of views. Often they were just posted so their friends and relatives could see them but then they took off. You can also find websites similar to yours and leave a comment. Most times when you leave a comment you are asked for an email address and your website(if you have one). Sometimes they will publish your website address sometime not. Now when you leave your comment make sure it is a comment of value. Comments like great website, love your content etc just won’t cut it. Comment on the actual content. Nothing worse than a generic comment that could go on any site. All the above methods will help you get traffic to your site. Without traffic your website isn’t worth anything. The above techniques need to be learned and then implemented on a regular basis. 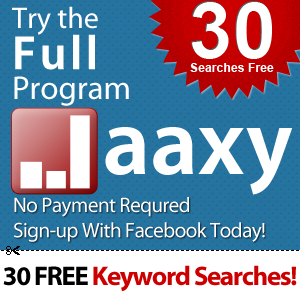 Without doing this consistently your site will not be picked up by the search engines and you will not get any traffic. To find out more about running an online business successfully and how to get more traffic for your website check out Wealthy Affiliate. Wealthy Affiliate is an online community that helps you learn to have a successful online business. They will teach you the many aspects of having an online business and one of these is getting traffic. Great points. If nobody comes to your pretty store, you just have an empty, if pretty, box. I was really interested in the off-SEO methods of driving traffic like social media. I’m going to dig really deep into this as social media has not been a concern of mine. Is article marketing still in existence? This sounds like a great alternative. Thanks for the tips. Well done. Thanks for your comments Warren. Article marketing is still used to get traffic to your site but it is not used like it was a few years ago. Ezine Articles was the most popular of all the places to submit your articles and they did have some strict guidelines for the articles being submitted. Many people would take an article and spin it and then submit it to multiple article directories. The problem with that is that many people never really checked the spun articles and a lot of them did not make any sense. So my personal opinion as to why article directories are not that great for getting traffic anymore is that people abused the system and put out junk content. We all know content is king but it still needs to be good content! You have listed good sources for website traffic. I would have also added Instagram, LinkedIn and Pinterest, all these platforms have hundreds of millions of users and traffic that can be directed to your website. My personal favourites are Google+, Facebook and Twitter. Thanks for your comment. I have never tried Instagram but I think maybe I should look into it. Do you get a lot of traffic using Instagram? I also like Googe+ It is easy to use and does generate traffic. Building and having a website is a very rewarding experience. But without traffic your website is the same as being on a dead end street. Nobody will come by and visit and see what you have to offer. While social media is great, you can get more traffic and faster with Wealthy Affiliate. The only program that teaches you soup to nuts the success of an online business. Success equals freedom is possible through Wealthy Affiliate. Hi Rob thanks for the comment. You are so right about traffic to your site. 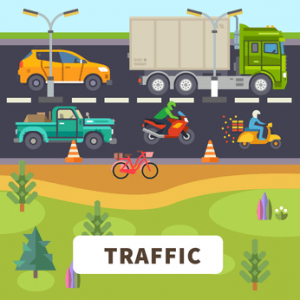 Traffic is the life blood of your site. You could have the greatest site on the internet but without traffic nobody knows that. I have a rural fishing website but after the effort I put in with social media – I seem to be lacking any real form of organic traffic…the search engines are sort of shunning me. I like this article – sort of explains where I have so far gone wrong with my site. Do you feel you can concentrate too much on social meida? Any time spent trying to get traffic to your site is not time wasted. If you are not getting organic traffic check on the keywords you are trying to rank for. You may be trying to rank for keywords that are way too competitive. You can go overboard on social media. Pick 3 or 4 social media and concentrate on them. I think the part where you talk about social media is really important. Granted, I haven’t done much with it myself but I know that’s the area I’m personally lacking in. Not using it is just throwing a bunch of potential traffic down the drain! Hi Koda thanks for the comment. It is hard when you are first starting out to know what you are suppose to do to get traffic. When starting out free is the way to go and most social media will allow you to do that. The best way is learn one thing at a time and learn it well – don’t skip all around. Good luck! What a wonderful post on getting more traffic to our websites! Thank god I am managing to get traffic from google that is only growing every day. But for newbies- This post is great. Thanks for sharing with us. I recently went through a training on getting more traffic, and it says that if you combine youtube traffic with facebook traffic it will really add up, and lead to natural rankings in google! Thanks for your comments Alex.I hadn’t heard about combining YouTube and Facebook for traffic but it does make a lot of sense. I am just starting into the video thing now. It has always scared me somewhat but it is time to take the plunge.